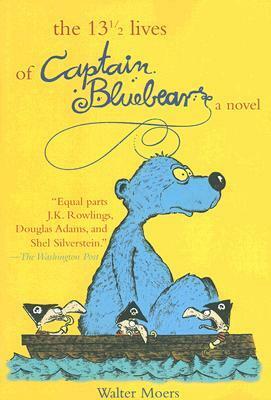 “A bluebear has twenty-seven lives. I shall recount thirteen and a half of them in this book but keep quiet about the rest,” says the narrator of Walter Moers’s epic adventure. “What about the Minipirates? What about the Hobgoblins, the Spiderwitch, the Babbling Billows, the Troglotroll, the Mountain Maggot… Mine is a tale of mortal danger and eternal love, of hair’s breadth, last-minute escapes.” Welcome to the fantastic world of Zamonia, populated by all manner of extraordinary characters. It’s a land of imaginative lunacy and supreme adventure, wicked satire and epic fantasy, all mixed together, turned on its head, and lavishly illustrated by the author. If you were to ask me for a set of books that were unconventional, rather witty and fantastical, and had a unique storytelling style I’d immediately point you to the Zamonia series by Walter Moers. Bluebear is the first of those books and the page count looks terrifying, but there is a wonderful trick that Moers adds to his books and that is the wonderful illustrations. 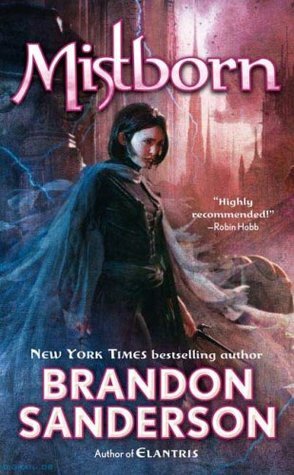 Also this wasn’t the first book in the series I read, I actually read The City of Dreaming Books first, so you can read them out of order without any trouble comprehending as they are kind of stand-a-lones. Bluebear is a our creatively named main character who is in fact a blue bear, and he has a total of 27 lives. Though he only shares 13½ of them, so I assume the other 13½ are either dreadfully boring or he’s only 13½ when the book ends. At any rate you get to experience them along with him, beginning with his rather unusual ‘birth’ to when he settles down with a nice girl bluebear in the forest. Through it all you get fantastic adventures with mini-pirates, hobgoblins, his weird schooling, a tornado city, inside of a Bollag’s head and even more! Moers has such a vast imagination and there is just so much packed into this one novel. I will say that some of the jokes will probably go over the average persons head, and I didn’t have a problem with that because it was just so unique. The story telling is almost interactive because instead of a straightforward style with normal lettering Moers makes use of different sized fonts, bold lettering, and weird off the wall script that helps to pull you into the story and make it fun. Through out it all you are treated to illustrations done by Moers. When was the last time your normal age-appropriate novels had illustrations? Most of the time I would think that having so many throughout the book would kind of be irritating but in the case of this book it actually enhances the experience. You get to see the odd creatures and things that Bluebear encounters and you get to see the crazy maps of the strange places. So instead of being lost on what exactly a Tornado city looks like you end up with a fun and detailed picture of one. I like to think of the Zamonia novels as adult “children’s” books. It has that same whimsy and imagination that you find in so many of the children’s books, and you have the gorgeous illustrations but you also have a more detailed adventure and even a few jokes thrown in. This was definitely not like any other book I’ve ever read. This entry was posted in Book Reviews (2012) and tagged 4 stars, fantasy, review. Bookmark the permalink. This sounds interesting..Adult “children’s book” hug. thanks for sharing it. Lol, it was the only way I could describe it. I love all of Moers books that I’ve read.